This book & CD is part of the very popularGuest Spot series, in which you can step into the spotlight & play along with the superb backing tracks on the specially recorded CD. 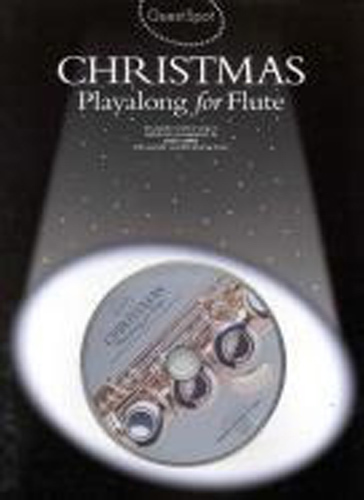 The book has 10 Christmas Carols & songs arranged for flute, with melody line. It includes Frosty the Snowman, Have Yourself a Merry Little Christmas, Sleigh Ride, Silent Night and others. Hear full performance versions of the songs on tracks 1-10, then the flute part is omitted from tracks 11-20 so you can play along.